PAULINE BAKES THE CAKE! 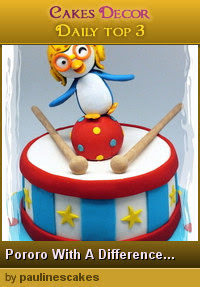 : Pororo Cake With a Difference... The Winking Little Penguin And His Balancing Act! Congratulions for your new Daily Top 3!! Your modelling is really great Pauline!!! Thank you Cecile! I am so honoured! Your works are awesome!